At GigMasters we do everything we can to showcase our members. One way we get the word out is, of course, blogging. Our Life of the Party and Wedding blogs get read by thousands of event planners, brides and grooms-to-be, not to mention people who just love to party. We like to feature real GigMasters events featuring real GigMasters members on the blogs. Let's take a look at a few of these recent 'real events' we've covered and discuss what you can do to get one of your upcoming or recent gigs featured on the blogs. 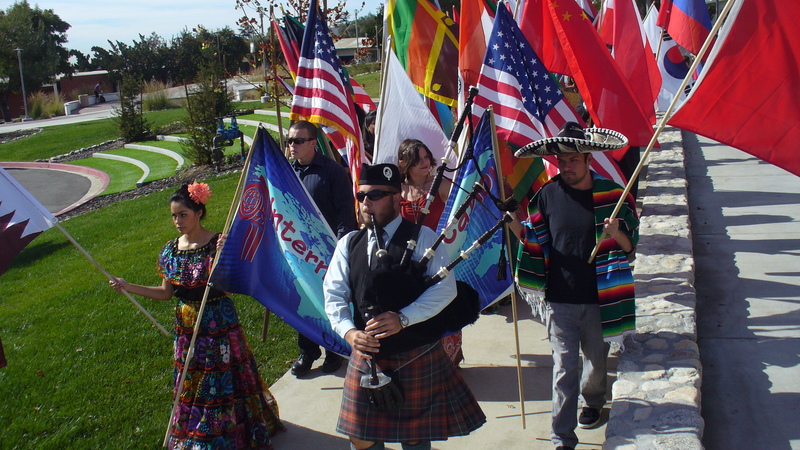 GigMasters Scottish bagpiper Tim Burke (Glendora, CA) is pictured above leading a parade of students and Chaffey College staff celebrating International Education Week. Over 40 different countries were represented in the parade and afterwards the whole crowd enjoyed some music from another GigMasters member, Nesta Steel Drum Band (Los Angeles, CA). This looks like a very cool event made even more special by not one but two GigMasters members. Everybody knows that GigMasters books more wedding gigs than just about anybody out there, but did you know that we also book wedding proposals? 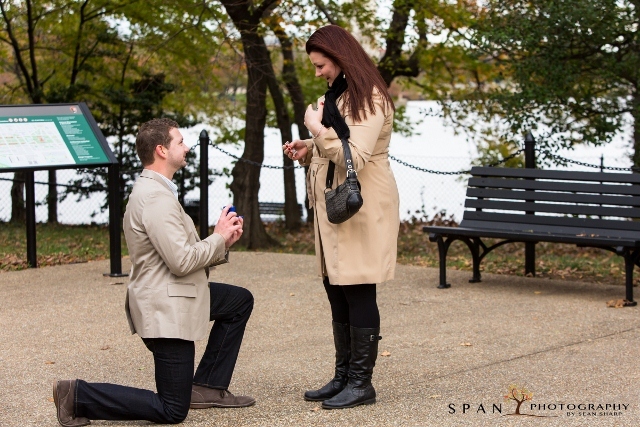 Every proposal is special but these days more folks are turning their big question into a big production. Such is the case in not one but two recent proposals organized by wedding proposal planners The Heart Bandits. They turned to GigMasters to hire Funktastik (Portland, OR) to complete a recent rooftop proposal and singer Nancy Scimone (Washington, DC) to act as an undercover street musician for another. These are both great stories that tug at the heartstrings. Even for the non-romantics among us, they are truly worth checking out. Looking for more? Scroll through our archives of real weddings and real events. Clearly we love working our members into these 'real event' posts. It's a great way to get some additional exposure...and you never know who might be reading! Get Photos - It never hurts to pack a camera and we suggest documenting as many of your gigs as possible. If you have an upcoming gig that you think is going to especially cool or photogenic, ask the client for permission to bring along a photographer even if it's just your buddy with a camera. Even better if you can capture some quality video! Contact Your Client Ahead of Time - We find that many clients loooove the idea of having their event featured on the blog. A lot of time and effort goes into event planning and an event can really be a point of pride for many clients. Talk to your client about the idea ahead of time. Ask if they mind supplying us with a few quotes for the post. It will make the post that much better. Report Back - The best way to contact us for a real event is by emailing marketingATgigmasters.com. Get in touch with us as early as possible and we'll do everything we can to collaborate on a killer post that will get you some extra exposure.